At least five people were shot during a four-hour time frame on Sunday morning in gun-controlled Chicago. The shootings included a man and woman; he was 23-years-old and she was 34. Both were “shot multiple times just after 4:30 a.m.” and were hospitalized in serious condition. According to the Chicago Tribune, a 15-year-old boy was shot three hours earlier. He is in stable condition. The “historically violent holiday weekend” began ominously when 13 people were shot–with two fatalities–as late Friday gave way to early Saturday. Violent outbreaks are nothing new for Chicago. Breitbart News reported at least 63 were shot and eight were killed on the weekend of August 18-20 alone. Moreover, the Tribune reported that half the shootings occurred within “13 hours from Saturday to early Sunday.” The violence made that weekend the second bloodiest gun-controlled Chicago has witnessed all year. 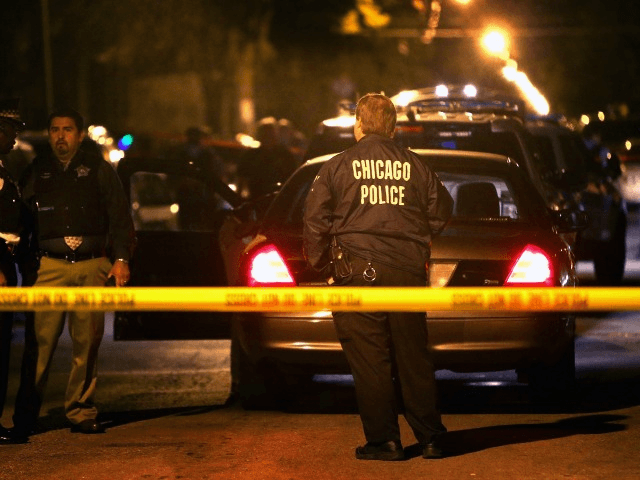 The total number of homicides in Chicago is fast-approaching 500 at this point. There were nearly 800 in the city last year.